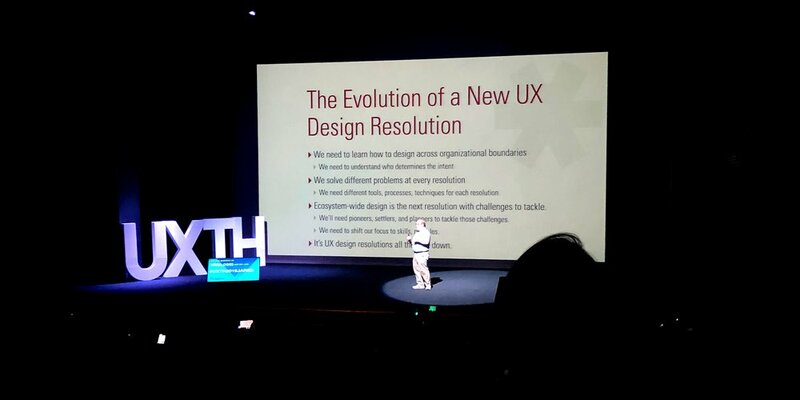 Over the weekend, I attended UX Thailand in Bangkok. The workshops were sold out early, and I could only get a ticket for the conference day. The lineup and content were both stellar, and I came away inspired and also a little enlightened. I took notes and thought I would share some of them. 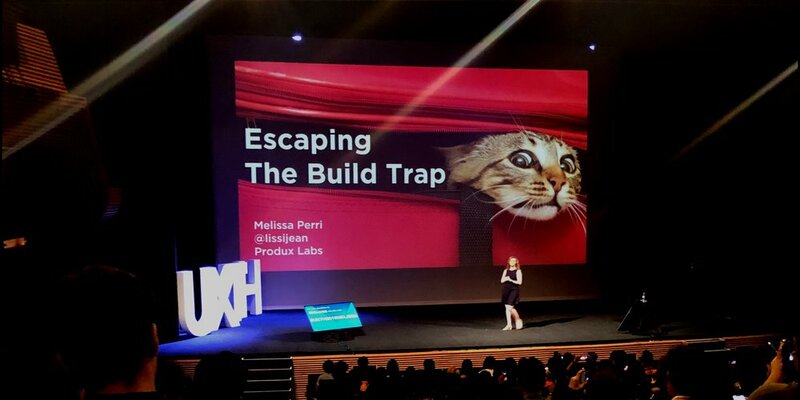 Melissa Perri, the author of â€œEscaping the build trapâ€� and CEO of Produx Labs, spoke passionately and entertainingly (great GIFs) about the importance of good product management and strategy. Escaping the build trap where teams are stuck in the endless loop of building features requires an organisation to focus on the outcomes rather than the outputs, and be able to execute the right processes at the right time to this effect. A fair amount of agile fatigue has been present in our industry, and a jab at the term (the first in several throughout the day) elicited knowing laughs. Perri reminded us that the highest priority for agile is to â€œsatisfy the customer through early and continuous delivery of valuable softwareâ€�, and that it was never justabout building and shipping more. Unfortunately, agile has often been interpreted as a way to deliver more faster without giving much consideration to how much of these outputs actually have a truly positive impact on customer outcomes. Instead, agile is supposed to give organisation agility to experiment, respond, and use those learnings to iterate better and build more useful features. Teams need to be in a constant cycle of productive discovery and valuable delivery. More features != better product. What is the problem to solve, and what value to the customer would it deliver? Clarity in product strategy provides teams with goals and guardrails. From personal experience, a new feature can always be reverse-explained to fit a customer problem â€” in this case, having a clear strategic intent that aligns with the overall product vision goes a long way to reduce build/feature/scope creep. Several speakers spoke about designers. 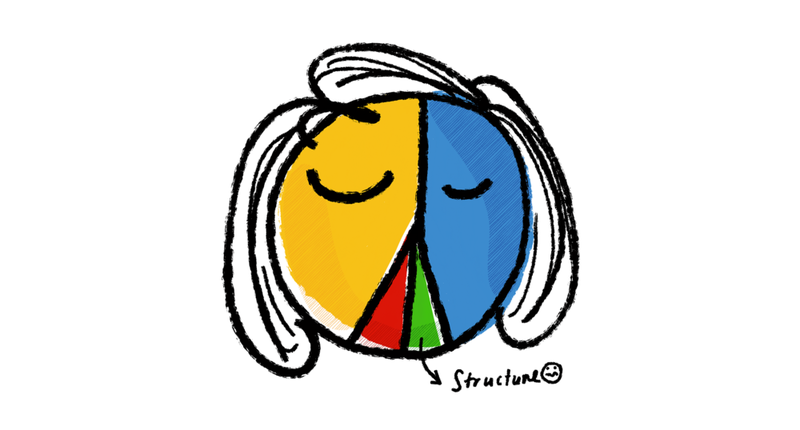 How everyone can be one, and how we are all different and have different skills and proclivities. On the first point, I have a couple of thoughts. One is of a certain dread, though not for reasons you may assume. Everyone can be a designer, I am all for that; I have worked with people from different business functions who have a natural instinct about what works and what doesnâ€™t, and who came up with great ideas when the designers had drawn a blank. It is infinitely a better world when everyoneâ€™s invested in the long term outcome. What I do slightly worry about is that in a world where everyone is a designer, that the current designers would again be asked only to deliver or focus on the deliverables (nothing wrong with craft; if anything, I admire designers who can dedicate themselves wholly to a discipline. Itâ€™s just that my pigeonhole is just not there). I think that serves as a great reminder for designers to not rest on our laurels, and it is imperative to constantly evaluate the contributions and value we bring. Dana Chisnell gave an enlightening and sobering talk about how democracy is a design problem (not so coincidentally, this was also the name of her talk). When represented as customer journeys, the steps and processes that a privileged voter and a burdened voter have to take before they can legally vote become discernible problems that design can help to solve or alleviate! Design in democracy is more than just a ballot form, which also needs to be redesigned, really. Jared Spool gave the closing keynote address, â€œThe Evolution of a New UX Design Resolutionâ€�, where he spoke eloquently about whatâ€™s next, how to think beyond the current definitions of design, and how designers can think about their next career step. At each level of resolution, the intentions change. The way we render those intentions change. That design is the rendering of intent doesnâ€™t change. Someone wants to log inâ€Š to a service â€”â€Š the intent rendered is a login form, with fields for an username and a password and also a button to submit that information. That resolution is a screen. Zoom out a little further, and the resolution moves up a level to applicationâ€Šâ€”â€Šhow does the user navigate between different screens, and how do they access information and features? Zoom out more, and we are now at the organisation level. We design experiences and services, and imagine and execute digital and offline interactions between the user and the organisation. So, whatâ€™s next? Eco-system design, where design takes place across organisations. To tackle these new challenges, we need pioneers to break new ground, settlers to spearhead new techniques, and planners to accelerate and scale our impact. 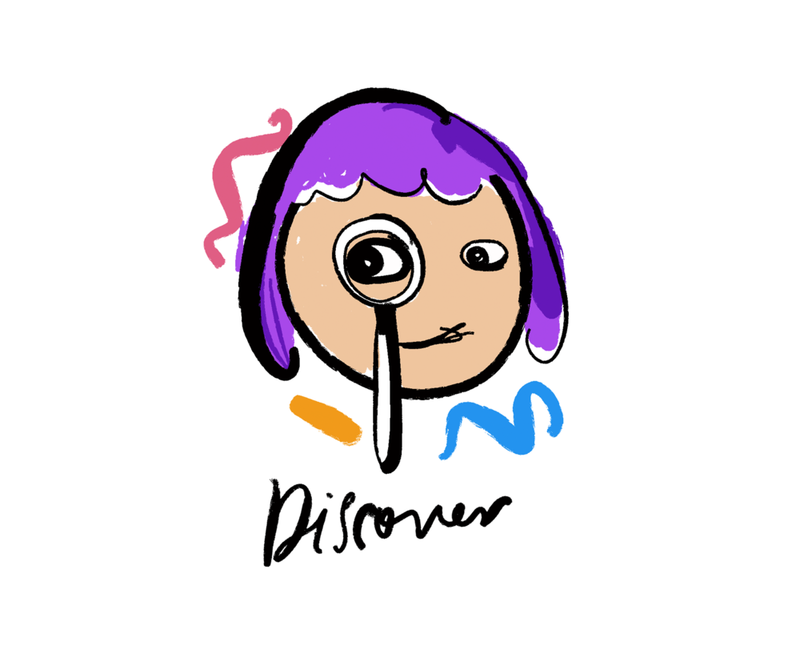 The role of the designer is changing, and we find ourselves in between resolutions. I find myself in this positionâ€Šâ€”â€Šsometimes, I get frustrated when us designers are left out of bigger problems when I feel that we have much more to contribute; sometimes, I feel out of my depth. To walk this talk and move to the next resolution, we designers have to equip ourselves with new skills and knowledge to employ new tools and techniques, and to ultimately deliver new and more impactful value. Also! New Zealander designer/research Yvonne Tse spoke about using VR in user research for a project with Christchurch International Airport. I really enjoyed learning about how her team conducted the research. Apart from being able to simulate spaces, VR afforded flexibility to switch structures, objects, and interactions when the situation calls for it. However, Tse also rightfully pointed out challenges: realism (how do you simulate other senses, or reenact a chaotic scene? ), novelty (participants had little experience with VR which made for a less-than-ideal learning curve, and some saw it as a game to win), physiological reactions ðŸ¤¢, and psychological concerns (reality distortion is after all, distortion). Thanks, UXTH for organising (nice swag, too!) and all the speakers for sharing! When December rolls around, the annual barrage of business/technology/design trends begins. Consultancies, agencies, and publications put out a list of what they thought would rule the world in the coming year. The first listâ€Šâ€”â€Šthis year, Fjordsâ€™ trends was my firstâ€Šâ€”â€Šis fresh, surprising, and insightful. By the third or fourth list, the trends felt old and I was ready for 2020. But I was being unfair, these trends are ultimately a distillation from societal, market, political, and technological changes and movements. It will be odd if the lists are vastly different! More importantly, these trends donâ€™t and canâ€™t gain traction on the power of one. Put enough consensus behind an idea or technology, and maybe, just maybe, there will be enough awareness, interest, and budget to move things forward. Once framed in a business context with the right numbers and value, maybe some of these ideas will get some tailwinds. Among this yearâ€™s crop, I was happy to see a few design-specific themes surfaceâ€Šâ€”â€Šparticularly, inclusive and responsible design. Yay! Iâ€™ve been using my break from work to reflect and re-assess my attitude and approach towards work and design. As a designer working primarily in the digital space, my work in recent years has been mostly about removing friction in adoption and conversion. I digitalise and facilitate communications and transactions between the business and our customers. They were all fruitful pursuits, but designing an experience is more than just getting a user from A to B faster. It is more than just building little moments of delight along the way. Itâ€™s more than dangling a carrot. To be very honest, up till a couple of months ago, I had a rather simple and superficial understanding of the term, â€œinclusive designâ€�. I thought that it was mainly about accessibility and about making design and content easier to consume and utilise. Inclusive design is all that, but Iâ€™ve also learnt it is and can be also so much more. Rather than taking a retroactive approach, inclusive design lets people and their many abilities, limitations, and differences guide and shape its possibilities, conception, and implementation. Instead of adding a ramp to make building entrances more accessible to people using a wheelchair, how about redesigning these entrances to make them barrier-free to everyone? And, how about including an icon for call-to-action buttons so that people who do not necessarily understand the language can infer the use of these buttons? How do we take into consideration our differences from one another, and start to design for a more diverse range of people? Technology has been regarded as an enablerâ€Šâ€”â€Šand it definitely has opened new possibilities and created new realities for many of us. Take a look at the sharing economy, microloans, or even Google Translate. Technology has liberated the flow of knowledge and information, and that has in turn helped us to imagine different outcomes, lifestyles, careers, and futures. But how can we ensure that the technology we choose and implement do not categorically exclude certain groups of people? How do we also make sure that digital literacy and proficiency are not the basic requirements for essential services? And then, what does it mean to design responsibly? While technology has undoubtedly made us more productive and augmented our natural abilities, technology has also enabled us to blur lines between work and the rest of life, and also between our public and private lives. Social media and messaging have made us available 24/7. We are constantly vigilant for the next ping. Our brain craves new information and those pull-to-refresh are way too satisfying. Designing responsibly means that we should play an active role in taking care of our well-being; if technology commands our attention and minds to enhance our performance and intelligence, the very least we should do is to ensure that technology doesnâ€™t make us lesser emotionally and mentally in the process. But, what does all these really mean? 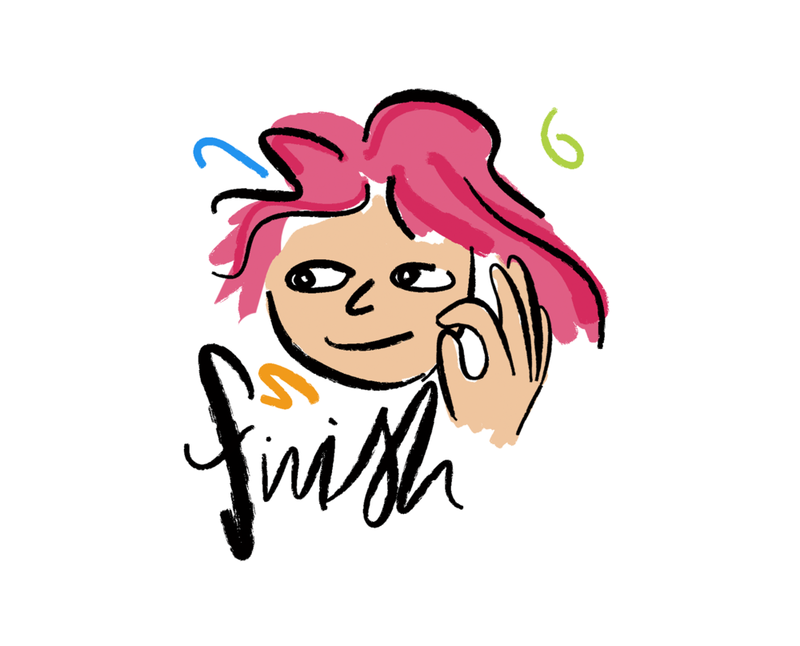 After reading articles, toolkits, and Kat Holmesâ€™ book on inclusive design (Mismatch: How inclusion shapes design), I was definitely more aware and informed, but I was at a loss. There is so much to be done, and there is a lot to change. Where do I actually start, and what can I do on a day-to-day basis? How do I incorporate all that Iâ€™ve learnt into my current design activities? I donâ€™t yet have satisfying answers for a lot of these questions, but thought that I would at the very least start planning for changes that I can make (next post). I found a line in the closing chapter of Holmesâ€™ book especially poignant. Many of us are temporarily able-bodied and will face new kinds of exclusion as we age. Every bit of design inclusion and responsibility we build into our products and services sets the stage up for more. And, I think thatâ€™s reason enough to start.